When trying to install apps through the Appcake app on my iPhone8 iOS11.1, installation always gets stuck. 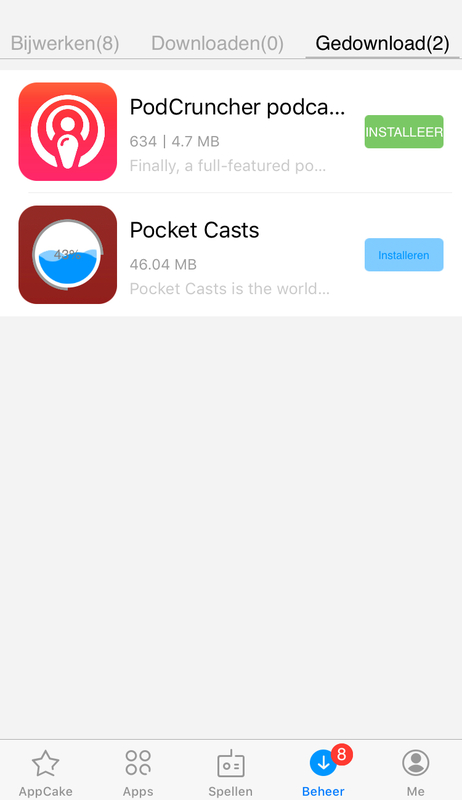 I have Appsync Unified installed from Karens repo and installing most apps works fine if I install the .ipa through Filza (however not all apps, pocket casts for instance still does not launch). I've got the same issue. Not one of the items I tried, installed fully. Not one. On top of that I noticed there is a thread here with apps that work for ios 11 and I've found Bloons TD 6 there listed with version 8.1, while on the Appcake the highest version it goes is 7.1. So I'm curious how this all works now. Just started having this issue myself, appa install fine via filza but just gets stuck with appcake app.